Take the scenic route and walk around a volcano with Wanderlust Tours. There are so many sights to see near Bend, you don't even have to drive. This week ditch the car and grab your bike, take a shuttle or use your two feet and the Cascades East Transit to take an adventure. Oh, shift! Why drive? There are plenty of places to escape on two wheels and a little leg power. The Oregon Scenic Bikeway Routes are nominated by locals and selected by Oregon State Parks. 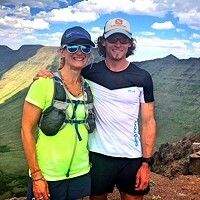 They run past state parks and roads, and cross mountains and deserts. Bikeways are official state-designated routes with printable maps, GPS and on-road signage. Grab a road bike, water and some good fuel for this 36-mile loop! 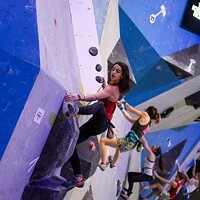 The route starts in downtown Bend on the east side of Drake Park at the intersection of Franklin Boulevard and Brooks Street. Travel the road toward Shevlin Park and continue toward Tumalo, then circle back to Bend. Starts in Sisters and follows an 1860s wagon route through lava flows. The steep descent has switchbacks through the Cascadian forest, and views of Mt. Washington. This bikeway is labeled as "extreme" by the Oregon State Parks and is for advanced riders only. This route starts in downtown Sisters and passes through Terrebonne. Roll past grazing alpacas, and the snow-covered Cascade Mountains on your way to Smith Rock State Park, famous for its climbing and multicolored rock formations. Bend Parks & Recreation also has trail systems near Bend. Check out Shevlin Park for an easy to extreme ride from town. From downtown head northwest toward Kansas Avenue then head through Drake Park toward Newport Avenue, following the signs for Shevlin Park. It's easy to bike ride to and has three different trails that are totally unique. Loop Trail: 6-mile trail that follows the canyon rim and crosses Tumalo Creek twice. 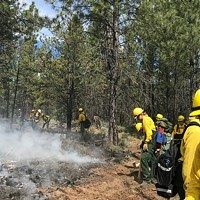 Tumalo Creek Trail: 2.5-mile trail that starts upstream from the park entrance and connects to the Deschutes National Forest trail system. Mountain Bike Trail: For bikers and hikers, this trail follows the canyon and links with the Forest Service's Mrazek Trail. Let someone else do the driving! 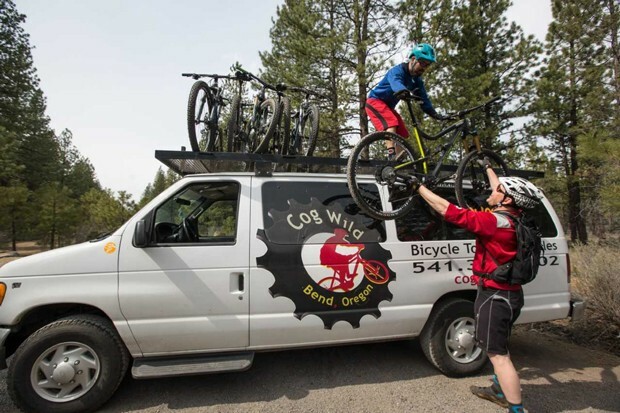 The tour companies in Bend have shuttles that leave for adventures daily. Why drive when you can Canoe? 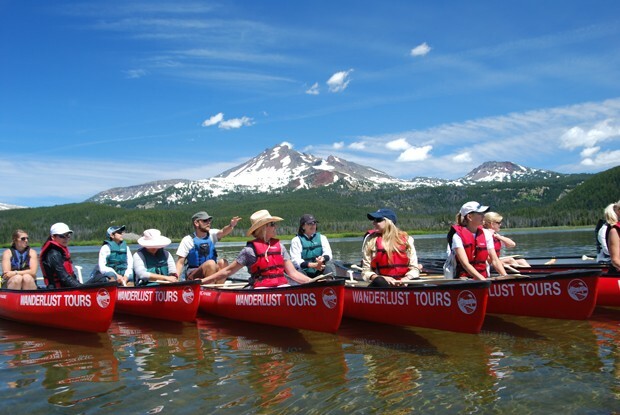 Wanderlust tours offers escapes to beautiful places all over Central Oregon. Wanderlust Tours makes locals tourists and tourists locals—basically they have adventures for everyone. Tours depart daily from their local office, located in the Fred Meyer Shopping Center on south Hwy 97. For each tour they provide a naturalist guide, transportation to and from their office, and any necessary equipment for the tour. All you need is the proper attire, sunscreen, water, snacks and a little wanderlust. They have exciting tours like, "Brews & Views Canoe Tours," which includes a paddle out on one of the Cascade Lakes, and tastes from Cascade Lakes Brewing Company, or a root beer for kiddos. There's also volcano sightseeing, where guides lead you into the belly of the ancient Newberry Volcano. They also have cave tours, moonlight canoe tours and local "pour tours." Leave your car behind and hit the trails! A mountain and road bike tour company that takes riders directly to the McKenzie River, Umpqua River, Mt. Hood and Oakridge area trails. You don't have to be a professional mountain biker to have fun with these local experts. Shuttles leave daily from their office, dropping off mountain bikers at Wanoga, Swampy Lakes, and Dutchman Flats trail heads. On the weekends they offer a shuttle to the McKenzie Pass Scenic Bikeway, a 30-mile round trip ride that weaves up 2,000 feet of elevation to the Dee Wright Observatory. Looking for a nice view of Central Oregon? Take a shuttle to Mt. Bachelor and hike to the 9,065-foot summit, or take a scenic chairlift ride to the Pine Martin Lodge perched at 7,775 feet. 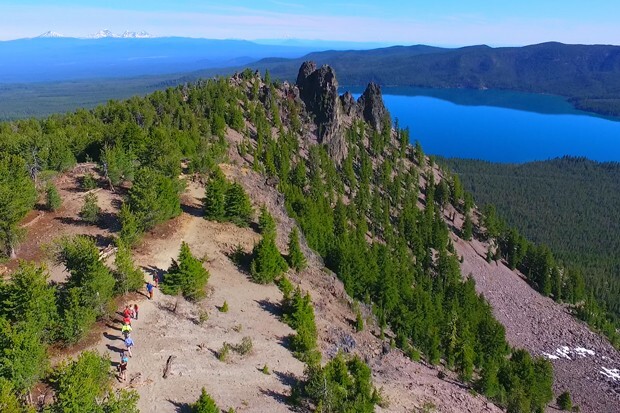 From the top, take in the sights of the Three Sisters, Broken Top and the Cascade Lakes. Side note: FORE! There is a disc golf course that starts at the top of the Pine Martin chairlift that works its way down to West Village Lodge. You don't have to go far to find nature's solitude in Bend. There are 65 miles of Urban Trail kept up by BPRD. These trails are not out of town, so you won't need a car to get to them. The trails below are all accessible from the CET. Find your closest route at: cascadeseasttransit.com/routes-schedules. 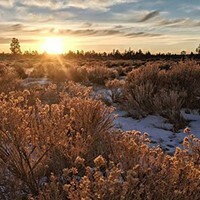 A 35.5-mile trail that runs parallel to the Deschutes River and extends from Tumalo State Park to Meadow Camp. This popular trail has multiple legs to choose from, but isn't fully connected. 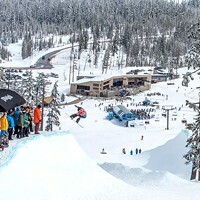 It can be accessed from four parks in Bend: Awbrey, Pioneer, Farewell Bend and First Street Rapids.